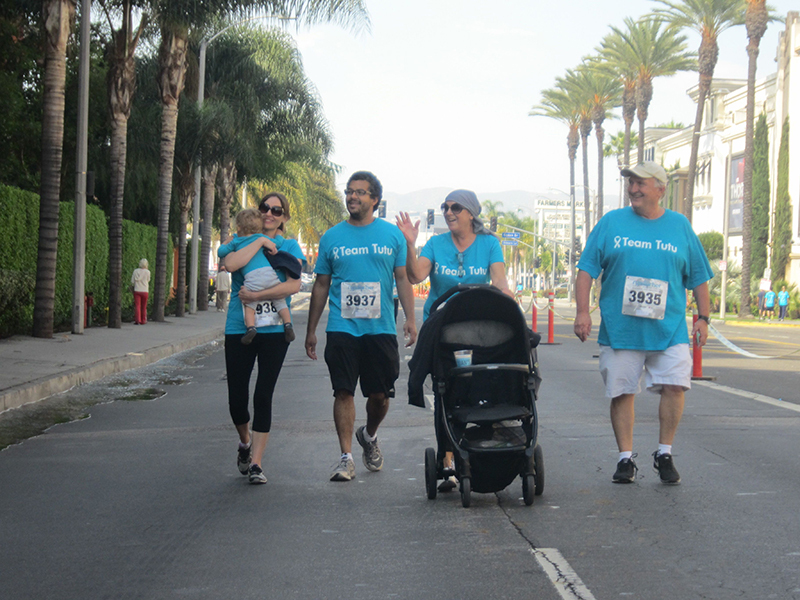 Our favorite part of Run for Her is building relationships with ovarian cancer patients, survivors and supporters. Over the past 10 years, we’ve been asked many questions by our supporters. What are the symptoms of ovarian cancer? What are some of the latest research advances in the field of ovarian cancer? 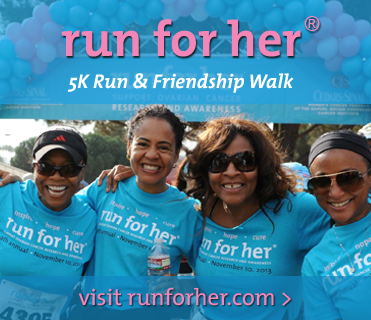 How does the Women’s Cancer Program use the money raised by Run for Her? These questions, among others, are very important – and we are so fortunate that our participants are engaged enough to ask! We sat down with Dr. Beth Karlan to address these questions and bring to light the importance of not only Run for Her, but the groundbreaking research efforts produced by her team of physicians and scientists. We will be sharing these videos with you over the coming weeks. First up, Dr. Karlan explains why research has been seemingly slower for ovarian cancer than for other cancers. Yesterday the 2014 Albert and Mary Lasker Foundation awards were announced and Dr. Mary-Claire King was recognized with the Lasker-Koshland Special Achievement Award in Medical Science. The Lasker Awards are often called the “American Nobels” in medical science. Since 1942, 86 Lasker laureates have gone on to receive Nobel Prizes in medicine and medical research. Sarah DeSimone tells us why we Run for Her in the Bay Area and how her family is the genesis behind it. On December 14, 2012, my family was forever changed. That was the day my mother was diagnosed with stage IV ovarian cancer. We were in complete shock; we didn’t know what to do or where to turn for support. A few months after the diagnosis, I felt a strong need to do something, anything, for the ovarian cancer cause. That is when I found Run for Her, which has changed everything for my family. My mom, dad, husband, and son participated in the 2013 Los Angeles walk two months after my mom finished chemo. We proudly came in last place! After feeling so alone in this journey, it was amazing to be part of something where I immediately felt so much love, support, and hope. My mom and I knew this was something we wanted to bring to the Bay Area. I emailed Kelli Sargent about bringing Run for Her to Northern California, and, to my surprise, she graciously agreed to meet with my mom, my sister, and me. Kelli’s positive energy and belief in us was truly overwhelming. We were thrilled that she wanted to work with us! From day one, my mom has led the effort to make the inaugural Run for Her Bay Area a successful event. From organizing committees to collaborating with different companies, my mom works tirelessly on the event every day. As she starts her second round of chemo, she is also bookmarking her calendar to put up Run for Her posters, attend committee meetings, and go out and garner support any way she can. Our conversations have turned from “How could this happen to us?” to “What can we do to help stop this from happening to any other woman and family?” Run for Her gives that to every person involved: the opportunity to make a difference. And that is a true gift. Annual pelvic exams are still an important tool in the overall assessment of a woman’s health, say physicians in the Cedars-Sinai Women’s Cancer Program at the Samuel Oschin Comprehensive Cancer Institute. Recently, the American College of Physicians (ACP) recommended that annual pelvic exams be eliminated for average-risk, asymptomatic women. The ACP speculated false-positive results could cause potential harm. Cedars-Sinai women’s cancer experts disagree. “We continue to support the position of the American Board of Obstetrics and Gynecology (ABOG) and their recommendation for annual pelvic exams for women over 21 years of age,” said Beth Y. Karlan, MD, Director of the Cedars-Sinai Women’s Cancer Program. Women should visit their healthcare providers yearly. “The decision of whether or not to conduct a pelvic exam should be made on an individual basis between the physician and the patient,” added Dr. Karlan. If you were watching the news or following social media last week, you may have seen this headline: Women with BRCA1 mutations should remove ovaries by age 35. Many major media outlets reported this story, and it is based on study results that appeared in the February 24 issue of the Journal of Clinical Oncology.